* If a post has a tag for ‘Inquisitive intern’ underneath it, click this link to go to a list of internship-related posts. Similarly, you can click the tag underneath any post to be taken to a list of related content. Or, just skim through all my varied posts. In June 2013 I began a Canadian International Development Agency (CIDA)-funded internship coordinated by the Atlantic Council for International Cooperation (ACIC). 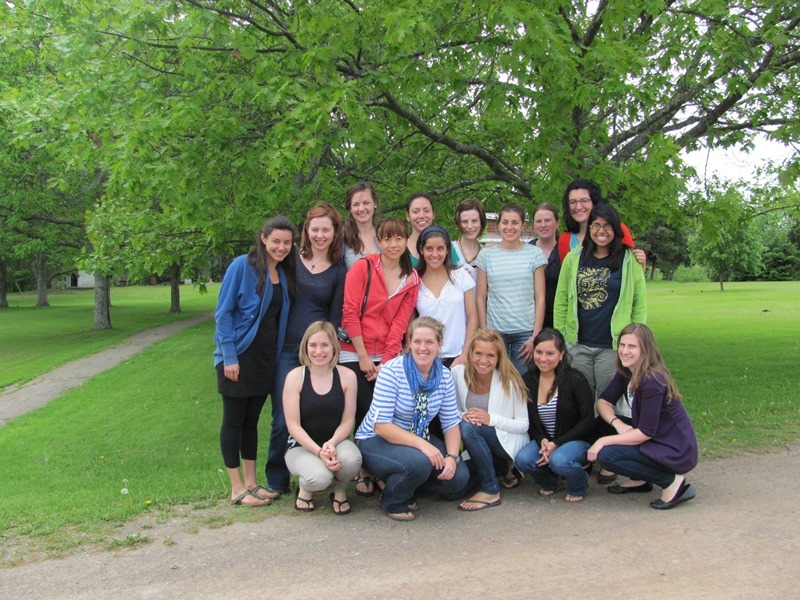 Part A: After a week of intercultural training through the Canadian Foreign Service Institute in beautiful Tatamagouche, NS, I began working for the Non-Governmental Organization (NGO) Chalice Canada for five weeks, as part of a friendly, dedicated team. Part B: involved heading to work with one of Chalice’s partner NGOs, Centro Esperanza, in Chiclayo, Peru. I was there from July 2013 to January 2014 and had an incredible experience working alongside Peruvian women who run Project Chiclayo, a program for children, youth and their families, generously supported by Canadian donors. I was non-stop busy for most of those six months and did a wide range of tasks that allowed me to use many skill-sets and learn new ones, while having a chance to reflect on what international development and local, grassroots development can achieve. Part C: I worked for 6 weeks back in the Chalice office helping out wherever possible and sharing my experiences in Chiclayo with the other intern who had been with me in Chiclayo. -designing and (co-) facilitating classes and workshops for children and youth: environmental awareness/tree-planting; drawing and painting through a nature lens; [Spanish] literacy and English homework help sessions; self-esteem, values, youth leadership. -helping develop and facilitate training sessions about pedagogical practices (literacy and art with holistic lens to promote personal and community development). Centro Esperanza offers multiple programs centered around 1) Human Rights and Democracy (holistic childhood and family development), 2) Gender Equity, 3) Interculturality and 4) the natural Environment. Throughout all their work, the team seeks to strengthen organizational and leadership skills in order equip people with the skills and values they need to achieve a dignified life. Through offering year-long programming to people living in poverty in and around Chiclayo, the NGO supports equal opportunities for all people and promotes a life free of violence, while encouraging sustainable development and livelihoods. Centro Esperanza offers Project Chiclayo to build people’s capacities so that they become agents of change in their personal, family and community lives; inspired by Christian values and ethics, the NGO is secular/laic and opens its programs to anyone. The Project’s objective is to become an example of inter-institutional networking and coordination in the Province of Lambayeque and I was lucky to be a volunteer at several intergovernmental and non-profit meetings, training sessions and events in the province. The NGO is making a notable difference in the lives of its valued participants. When individuals and their families feel empowered and capable of bringing about change in their own lives, magic really does happen–though not without challenges and hick-ups and frustratingly time-consuming ‘bureaucratic’ roadblocks. While this grassroots-level development can be classified as international development, the real secret to Centro Esperanza’s success is the giving and sharing of love, trust, respect, patience and dignity by a staff of Peruvian-born women and men, from ages 16 to nearly 70. Many of the staff live in the same areas facing precarious existence due to a lack of infrastructure, job opportunities and crime and as their program participants. I am forever grateful for the time these beautiful people allowed me to be part of their professional and personal ‘family’ lives; I never felt alone or unconnected to locals while in Chiclayo. I am delighted to remain in contact with many of these team members and program participants to chat about Centro Esperanza programs and life, and help with translations where possible. Thank you Dennis–it is an amazing opportunity to be able to do what I am doing. I also admire what you are doing back in Canada. Best of luck with your writing.